Honor the timeless battle between good versus evil on what is known as Star Wars Day by attending a variety of events. Begin the day 11 a.m. at BC Comics, located at 3090 Knolin Drive, Suite 1, and check out the release of Spirit of Rebellion Booster Packs for Star Wars: Destiny. At 3 p.m., make your way over to Pak’s Karate Louisiana, located at 5302 Barksdale Blvd., and participate in what they call, “fun filled Star Wars activities”. Be sure to dress up in your favorite themed apparel. Round out the day at The Queue Tavern, located at 905 Barksdale Blvd. Enjoy several Star Wars-related drinks, like The Light Side Cocktail. You can even build your own light saber and duel it out with other guests for prizes. Local media celebrities will dance their heart out to win over your vote as they “dance for the cure”. This is an event not to miss if you love the popular TV show, “Dancing with the Stars.” All proceeds go to Susan G. Komen North Louisiana. Before you go, scope out some of the dancing media stars on their social media pages. Beginning at 9 a.m. the buzz and thunder begins all over Bossier City, as the Blue Angels and other favorites fly over the skies of Barksdale Air Base. Hosted by the 2nd Bomb Wing Barksdale Air Force Base with support of the Military Affairs Council, the skies will be filled for two days with some excellent performances. On both days, static displays will be accessible to the public, such as the B-1 Lancer, B-2 Spirit and the B-52 Stratofortress. Foodies, wine and art aficionados won’t want to miss WAM, a quarterly event hosted by the Bossier Arts Council. 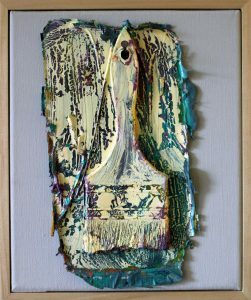 This event, centered around the art of John Wagoner and his Made Out of Paint work, has stations set up with food and wine pairings throughout Boomtown Casino’s 1800 Prime Steakhouse. To accompany the art and wine, Winston Hall will perform, creating a truly unique experience for all the senses. Hosted by the Bossier Chamber, spend the morning honoring military members in the community. The breakfast highlights achievements­ of the military united in Bossier, including the Air Force, Army, Marines, Navy and National Guard (active and reserve units). Figuring out what to get your mom for Mother’s Day can be stressful. Why not give her something unique and relaxing? But, not a massage. Get your chi on at mother-daughter yoga. For 75 minutes, bond with your mom and learn partner poses, breathing exercises and restorative postures for deep relaxation. 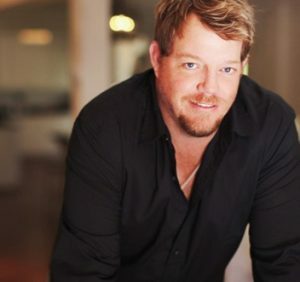 Texas native Pat Green will perform at The Stage igniting the venue with his modern and mature country sound. While some think mainstream country has changed, Green is back in his element and confident with songs from his latest album, “Home.” Support his epic comeback and don’t miss out on hearing one of the most nationally recognized voices to come out the Texas country music scene as he performs locally. Fresh food is best food and beginning in May, there will be plenty of opportunities to find the best straight from the farm. Enjoy a whole weekend at two of the best farmers markets in Bossier Parish. 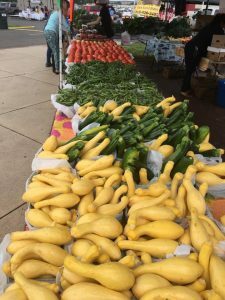 On Saturdays, the Bossier City Farmers Market is a healthy mix of farm fresh ingredients and other specially-made items. With over 100 booths and growing, this is one of the biggest markets to enjoy this summer. On Sundays, the Benton Farmers Market is the place to shop for produce and spend some quality family time. This market hosts a small petting zoo and even has a tractor-pulled ride for the children. Bring the family to both markets and stock up on fresh, locally farmed food. Open to all players and teams, the Cajun Open Corntoss is for all those who share a love of corntoss and big heart to play and support River Valley Church. This championship tournament is an all-day event packed with competitive fun. All funds raised throughout the day will support the church’s mission trips and their travel to Nicaragua to help those in that community and provide growth opportunities to youth members. 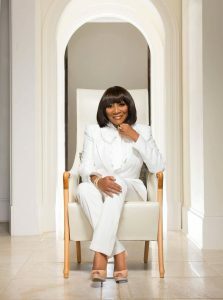 Legendary R&B singer Patti LaBelle makes her way to Bossier City to perform her classics with a mix of electrifying renditions. LaBelle’s stage presence is not to be missed as her diva designation shows her pure talent in performing. And her sassy stage wit adds to the entertainment during the show. Spend a night out at Horseshoe singing Foodies, winos and art aficionados to some of the best-known LaBelle songs from her career. Next Post:Be A Fan of Shreveport-Bossier with these exclusive Bossier City deals!